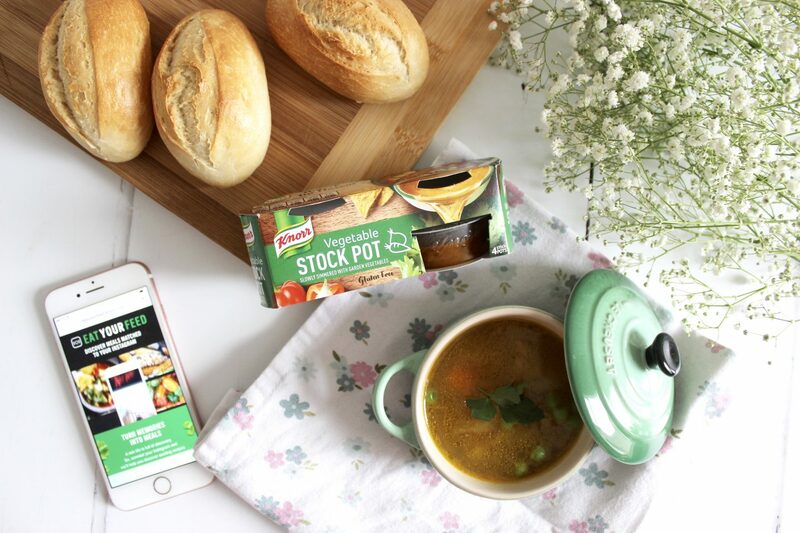 Last week I worked on an Instagram campaign with Knorr. 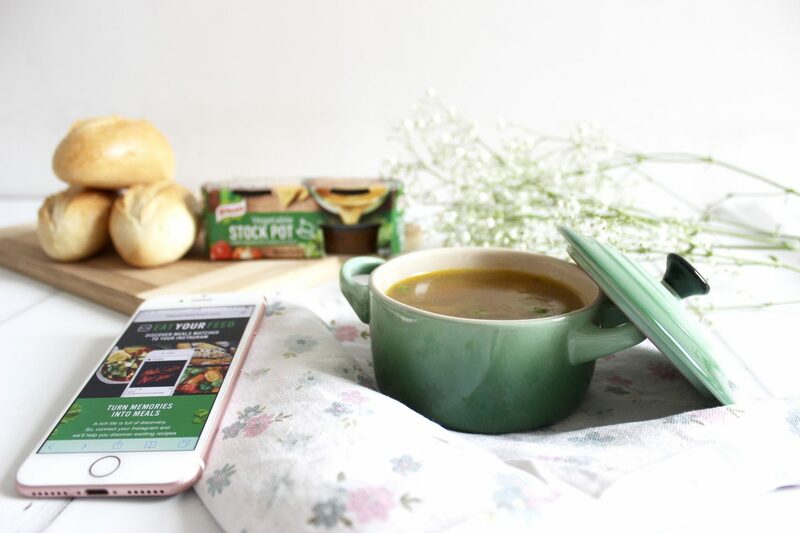 As part of the campaign I made a batch of winter vegetable soup and it was such a success that I thought I would share the recipe here too. I know that winter is finally coming to an end and spring keeps teasing us with some sunshine. But some days (like today!) are grey and rainy and definitely call for some warming home cooked goodness. The following ingredients serve eight people, I decided to half it to make just enough for the four of us. Start by Sautéing the garlic and onion in pan over medium high heat for about 3 minutes. Add your vegetables and cook for another 5 minutes, making sure that they don’t burn. Pour in the stock and simmer over a low heat for 20 minutes. Add the green peas and quickly heat the soup through. And you’re done! I served my soup sprinkled with parsley and of course with some lovely crusty bread rolls. I discovered this recipe via Knorr’s Eat Your Feed tech, which you can check out here. The idea is that you enter your Instagram handle and it then analyses your feed to come up with a bespoke recipe based on experiences you’ve had, places you’ve been and people that you’ve spent time with. Pretty clever, eh? If you’re new to my blog you can check out my other recipes and food related content here.